Female theatregoers would need an hour-long interval to all be able to use the toilet at an average West End theatre, new research suggests. The state of theatre toilets across the West End is laid bare for the first time as part of an investigation by The Stage, prompted by ongoing and widespread criticisms of the facilities offered by venues. Based on the British Standard 6465 sanitary provision guidelines, the average-sized West End theatre should have a minimum of 36 women’s toilets. 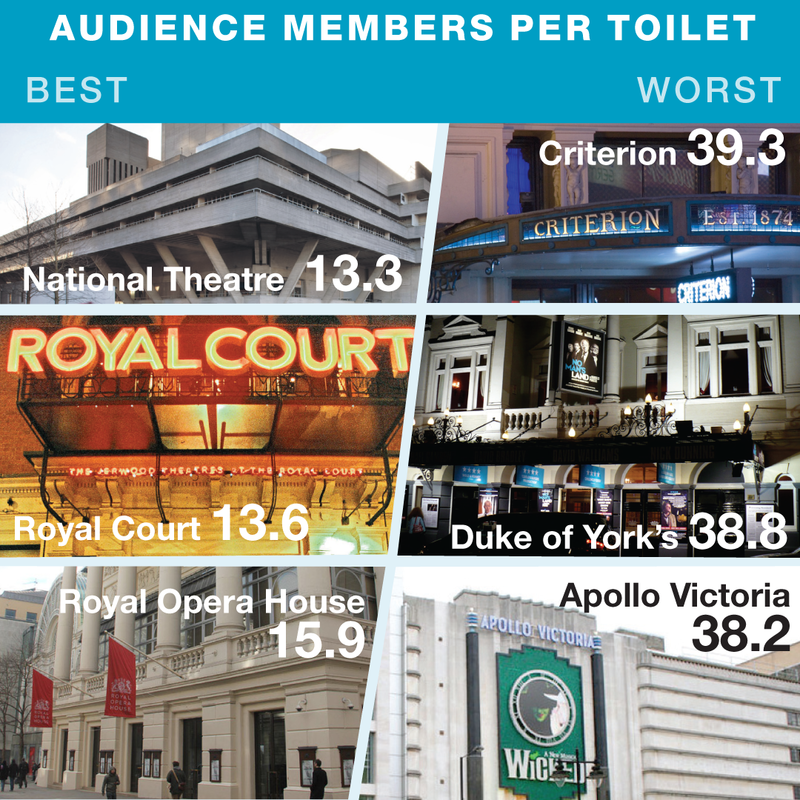 According to The Stage’s research, West End venues have an average of 21. The research covers toilets at all venues with full membership of the Society of London Theatre, except the five theatres owned by Nimax, which declined to provide the information. 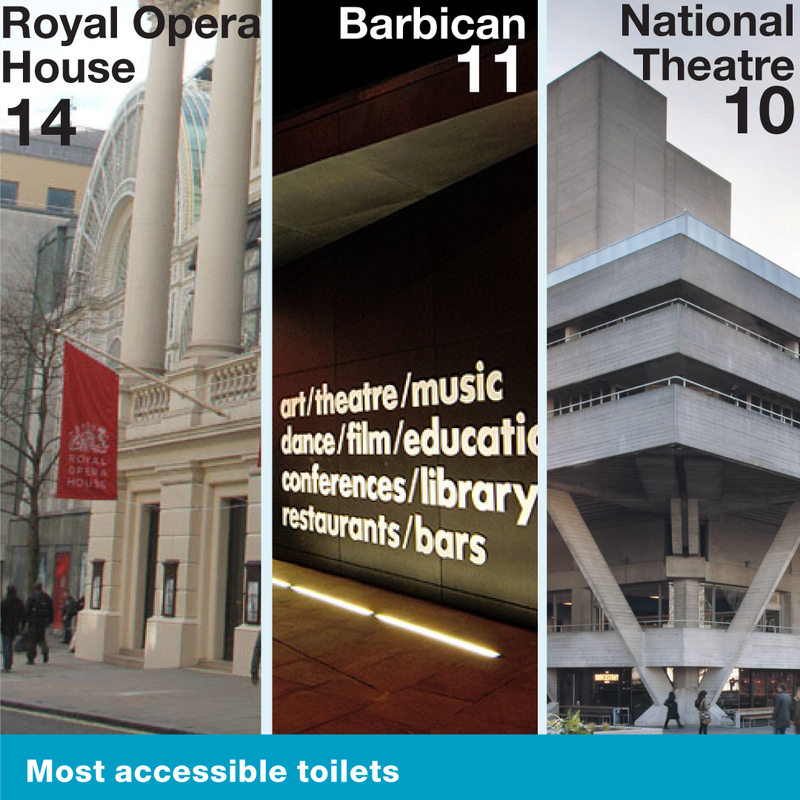 Theatres gave figures for the number of women’s, men’s and accessible toilets. At the 42 theatres counted, there is one toilet for every 26 people, with this number increasing to one toilet for every 38 female audience members – an indication of the under-provision of facilities for women. 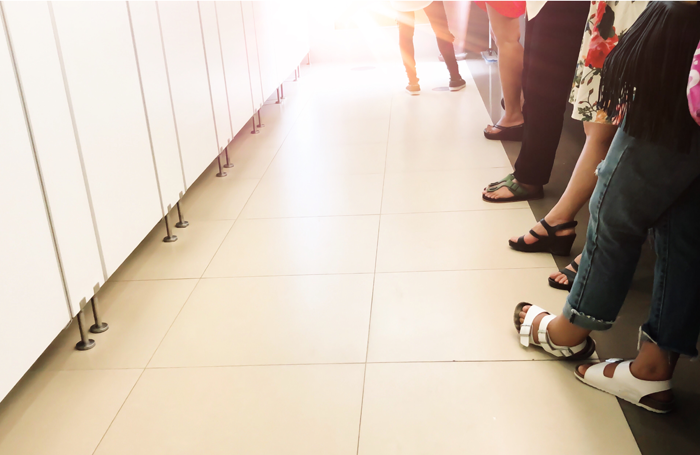 At capacity, the average theatre would need a 57-minute interval – nearly three times the standard length of 20 minutes – to allow all women to go to the toilet, presuming each woman takes 90 seconds. 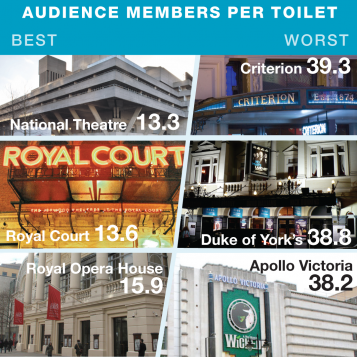 The Theatres Trust, which gave a total of £125,000 for theatres to improve their toilets as part of a dedicated campaign in 2016, noted that not all audience members will use toilets during an interval, and theatres should not be designed to accommodate for this. 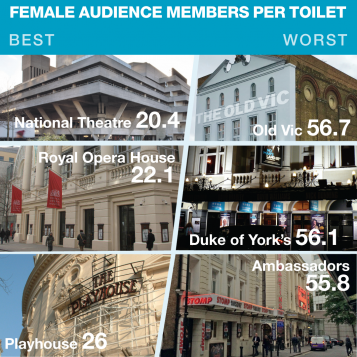 When taking capacity into account, women’s toilet provision at theatres including the Duke of York’s, the Ambassadors and the Old Vic has to stretch the furthest. 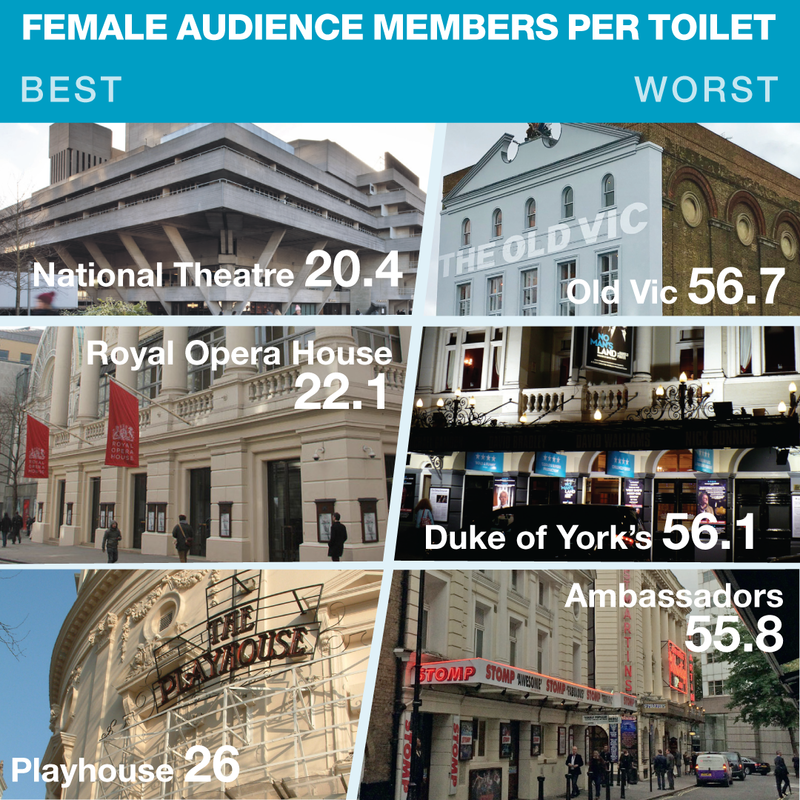 For example, the Old Vic has just one toilet for every 56.7 women. 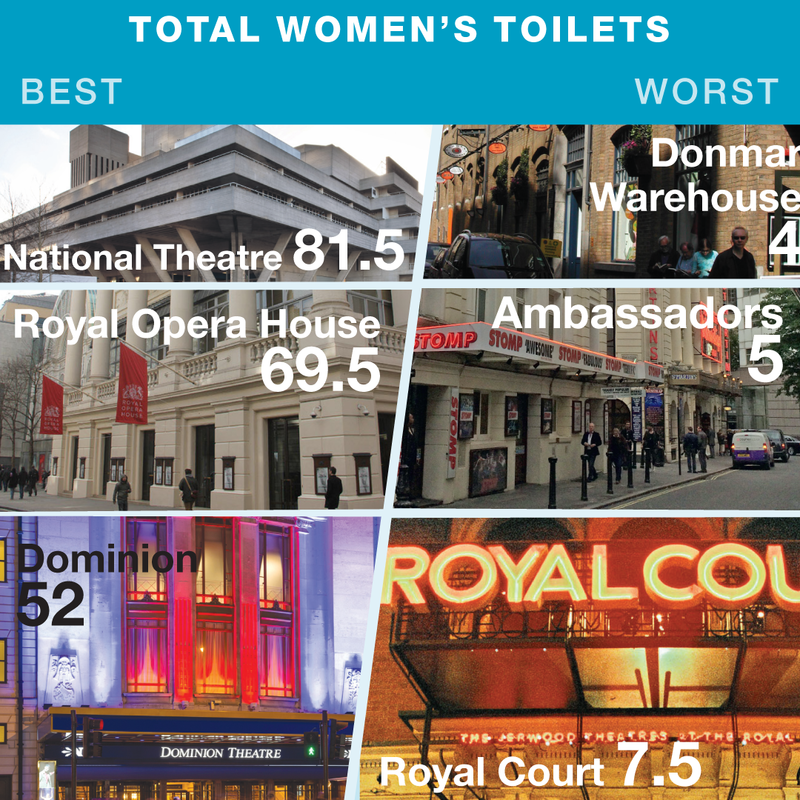 However, the theatre has promised to double the number of ladies’ toilets as part of a major front-of-house overhaul. 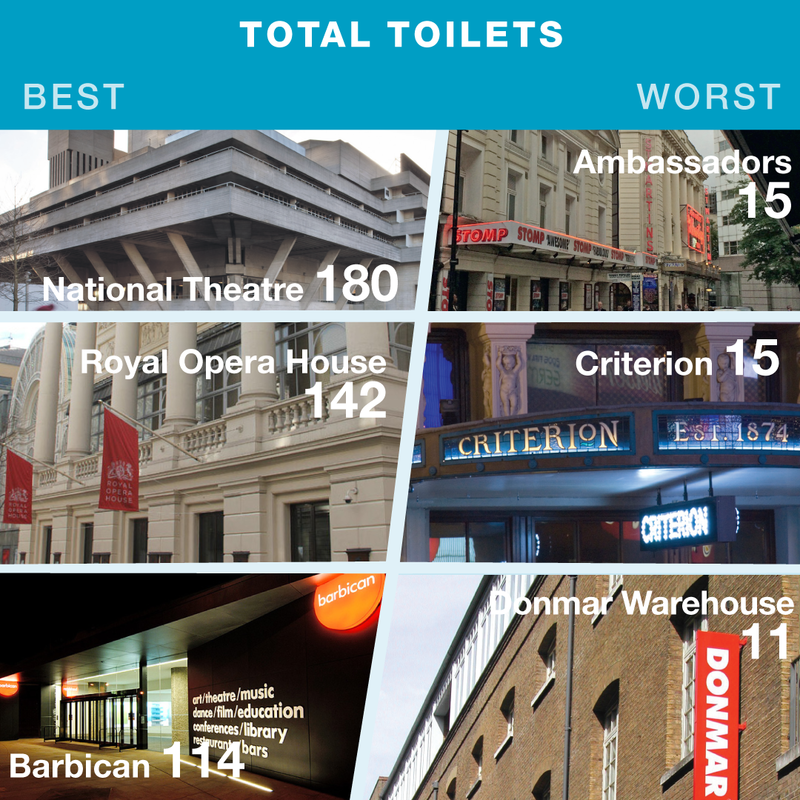 Overall, the National Theatre exhibited the best ratio of toilets to audience members, providing one for every 13.3 people. 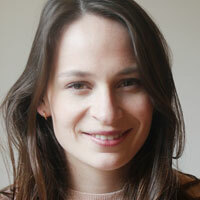 This is closely followed by the Royal Court and the Royal Opera House. Subsidised theatres perform better than commercial or not-for-profit venues on the whole. However, it is worth noting that these buildings are more likely to be open throughout the day and be required to provide toilets for a wider range of people than simply those attending a show. Those with the least facilities for their capacity included the Criterion, home of The Comedy About a Bank Robbery, which has one toilet for every 39.3 audience members. The Duke of York’s has one for every 38.8 people, and Wicked’s home, the Apollo Victoria, has one for every 38.2 audience members. 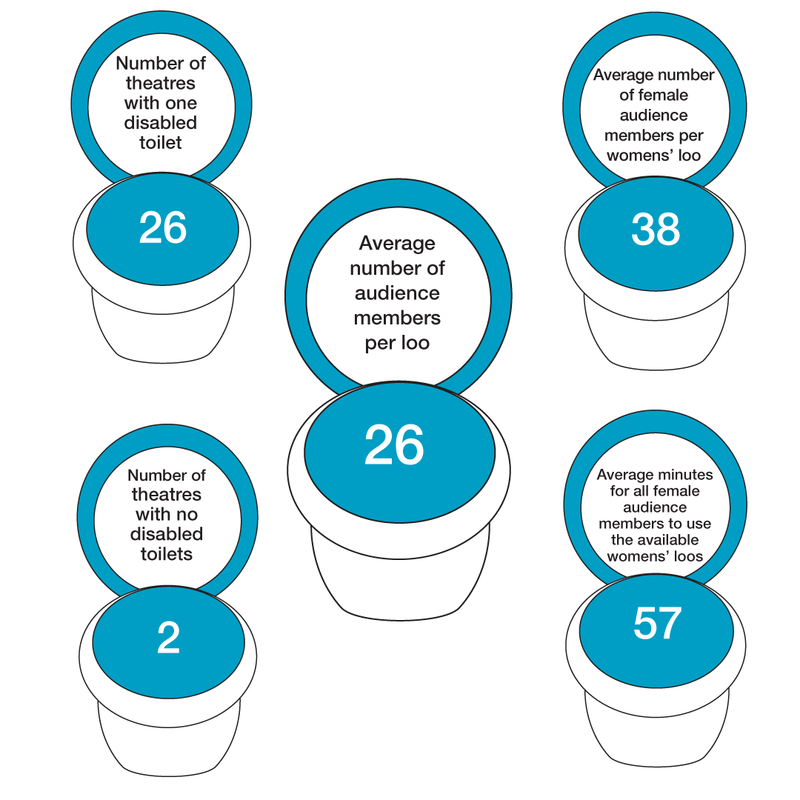 Another area in which theatres routinely under-perform is accessibility: 26 (62%) of the 42 theatres counted had just one disabled toilet, with two – the Ambassadors and Wyndham’s – offering no accessible toilets at all. 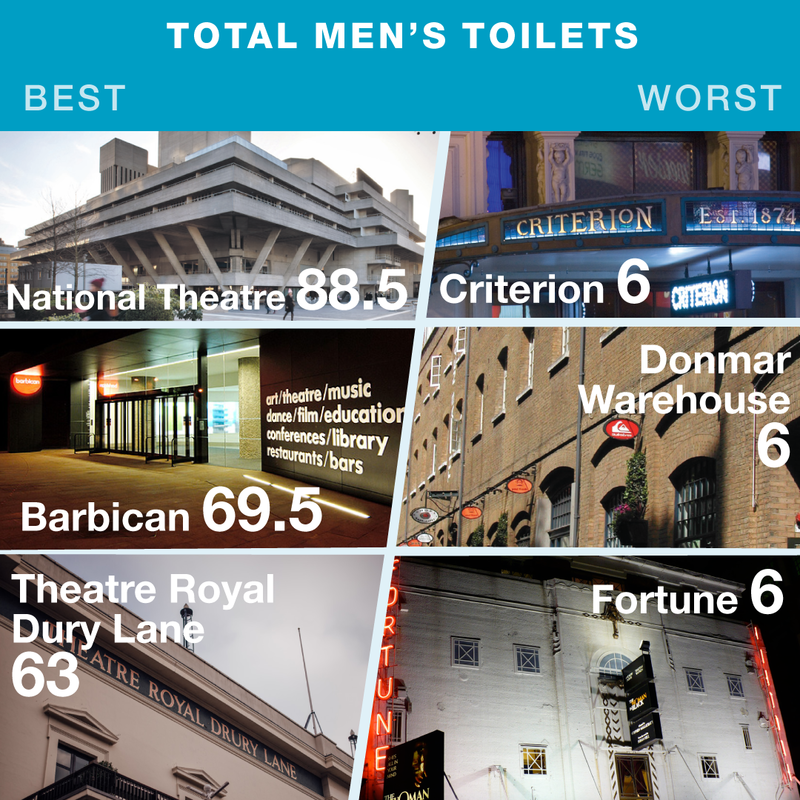 While most theatres cater for men and women separately, a handful, including the Royal Court, the NT and the ROH, offer gender-neutral facilities. The Royal Court is currently unique in that all of its toilet cubicles are gender neutral, meaning they are available to people of any gender.